The pops are really loud compared to last gen. It’s fun(ny) to pass people and let off the throttle...some get mad. Overall sound is similar inside the cabin, but its more muffled at lower RPMs. Less drone when lugging at cruising speeds, but it definitely has the same flat 6 howl at higher revs. Outside the .1 generation is clearly louder and raspier. Ive driven plenty of cars and think this one is a good balance of sound that don’t get obnoxious after a while. If you’re looking for a toy that’s loud and scratches the ‘im speed racer’ itch, you might be disappointed. Probability the wrong car for you if that’s your focus....practicality and usability is the strong point. interesting observation. Not sure what led you to it though. I only asked if it was as low as some here make it appear to be. If if I wanted the racer boy thing, I’d have just kept the AMG. That thing was pure animal. Looking much more for a driver. Just so happens this driver is faster. glad to hear it does have some oomph though. And if need be, it sounds easy to add a little extra. Sounds actually like the perfect car for me. Only about three weeks left to go. only my absolute favorite think to talk about. :-). Thanks for asking. its literally my perfect build. Matches my daily almost perfectly. Expect that’s an SUV. 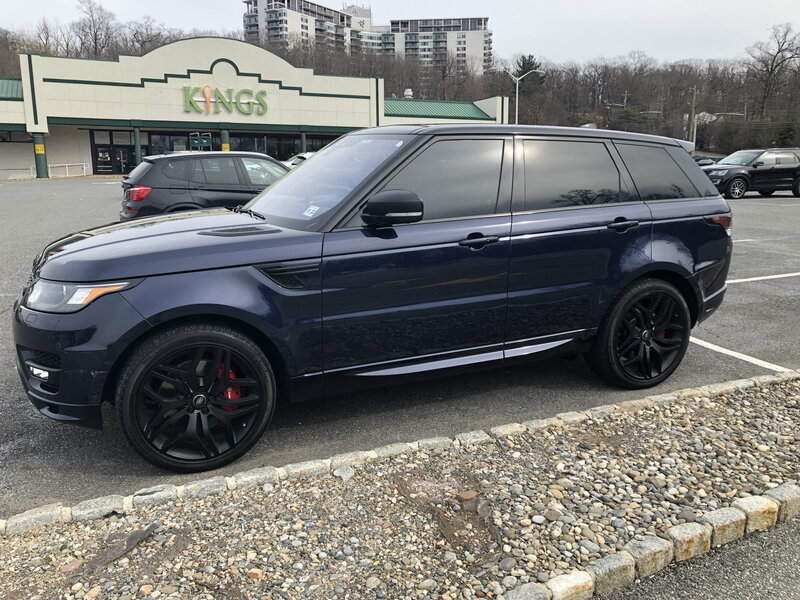 RRS autobiography in blue all blacked out. Now that is a seriously awesome build. It's is going to be potent daily driver. And the yellow calipers are going to really pop with midnight blue. Posting of pictures will be a must. thanks Blue. I agree on all accounts. And I’ll certainly be posting pics. Potentially too many. I might get complaints. I tend to get carried away with stuff. We share common taste in vehicles! The Range Rover Sport SVR is my wife’s though. My second vehicle is a 2010 GMC Sierra Crew Cab. what a set up. 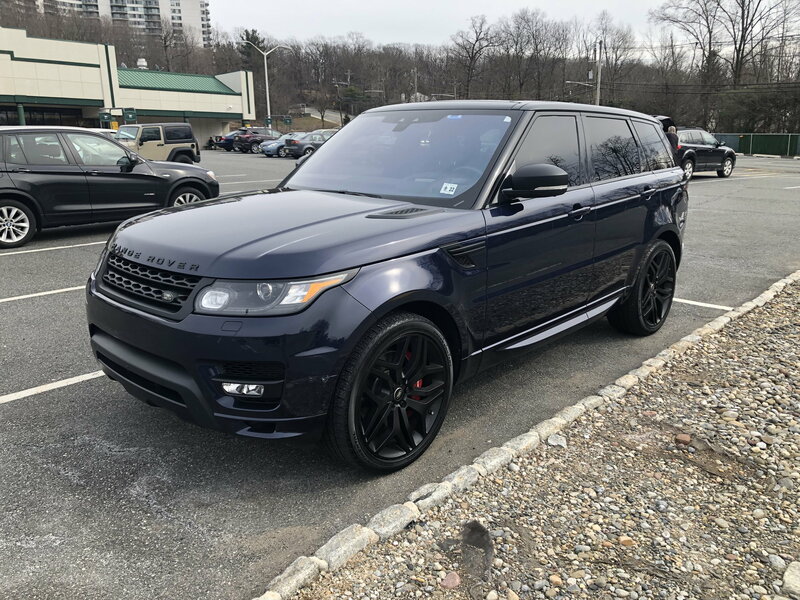 The SVR...so nice. And it’s for your lady? Good man. My wife drives a C43 AMG. Also blue. But that’s not in the same realm as the SVR. I LOVE that thing. We do have a lot in common tho. I’m a big pick up fan and love the GMC. Admit though that I’m an F150 guy. And the SVR blue. Oh man. Thats a sick car. I’d love your feedback on that thing as a daily. I had an F250 long long time ago. Got on a GM kick a while back though. At one point had 5 GM vehichles and nothing else. SVR is awesome though. Loud, beautiful, and comfy. Hey I think I am describing my wife too LOL! Interesting. Either way, you will love the Targa GTS. Its just a perfect mix of everything. Also, share some pics of the other cars too if you have a chance and cant wait to see the new one. This being Porsche forum hate to digress too much, but.... Traded my wife’s Yukon on a Macan Turbo in 2017. It got me hooked on finding the right Porsche for me. That was an amazing car and wife liked it, but not enough room was main issue. We have an 8 year old and 5 year old. Moving from a Yukon to it was rough. Begining of 2018, we went car shopping and managed to find what I would say is the best SUV I have ever been in. The 575hp is awesome. The sound is intoxicating. The finish is amazing. Exhaust burbles and cracks, but is just as loud as an AMG GT or Z06 or Jaguar SVR or similar. It is valved exhaust though, so dont have to be loud all the time. The steering and suspension are great, very well tuned. It is obviously a big vehichle, but it can be a riot to drive or nice and relaxed. We saw it in showroom and had to have it. When we test drove it I told my wife I waned to keep it for my daily, but she was not going to have that. Definately something to check out. I am a big carplay fan, for its simplicity and accessibility. That is only thing wish it had. I actually pretty much daily my Targa GTS. It is really DD material. It feels like a super car, but is not as flashy as other $170k vehichles. Targa top down is so blissful. AWD means you can drive in any weather if it is worth cleaning your car for. You can drive it on the track beyond popular belief about not tracking a Targa. It is not going to **** neighbors off with noise like my previous Z06. I dont get yelled at to slow down going 30mph anymore. The cabin is simple and refined. Long distances are comfortable. Targa GTS just has everythingI want in a car. Oh and the 4 seats is nice with two small kids. Other variants have different strong points. There are so many, but this is my favorite with a GT3 coming in very close 2nd. GT3 loses rear seats and targa top, but maybe next time will get one down the road. Just cant see giving this one up so may be a while. A couple snaps from today. Love this thing. And the exhaust note is awesome!! Not like the SVR exhaust tho. That’s pure music. Very nice, I have not seen one around in that color. Your cars are going to match almost perfectly I imagine.